Guests are always asking, “What should I see when I visit Santa Barbara?” With so many great sights sometimes it is tough to pick the best places to visit. Whether you are a hiker, wine connoisseur, outdoor enthusiast or just interested in the sites this coastal California town is full of wonderful attractions and sites for everyone to enjoy. Here is a list of some of area’s most noteworthy spots and a map to help find them. 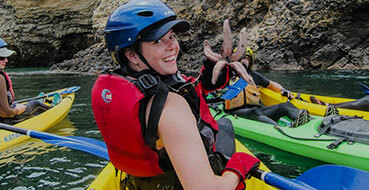 Enjoy incredible kayaking, hiking and camping. Having trouble finding these spots? Here is a great map that you can use to find your way through Santa Barbara. Drive carefully – several streets are “One Way” in downtown. I am sure we have missed at least another 30 great places to visit while in Santa Barbara. What is your favorite spot?